My research engages questions and conversations across a number of disciplines, including Religious Studies, African American Studies, History, and Theology. My interests include religion in America, particularly African American and Catholic histories; the Black freedom struggles; theory and method in the study of religion; postcolonial and critical race theory; and liberation theologies, among other things. These interests come together in my first book Authentically Black and Truly Catholic: The Rise of Black Catholicism in the Great Migration (NYU Press, 2017). When most people think of African American religion in the twentieth century, what comes to mind are migrations and freedom struggles. The twentieth century also figures prominently in the stories we tell about Catholics in the United States, the years in which Catholics became “American,” so to speak. Black Catholics, if they are thought of at all, remain anonymous and anomalous in both these histories. Yet this very same period saw the rise of Black Catholics in the United States both in terms of population and prominence. 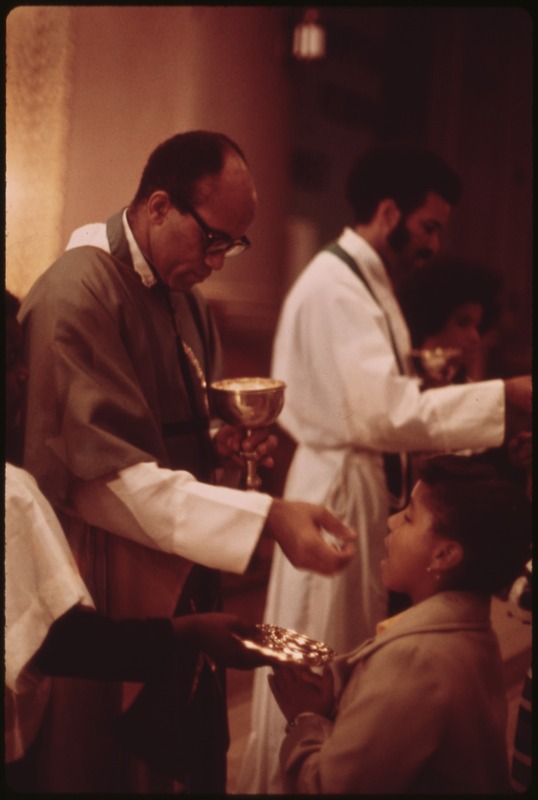 The national Black Catholic population rose by over two hundred percent from 1940 to 1970, so that by 1975 there were close to one million Black Catholics. What caused this remarkable growth? What accounted for the emergence of black Catholics as a prominent force in the U.S. Church if they remained, as Albert Raboteau once put it, “a minority within a minority”? How might our understanding of African American and Catholic histories change if we take Black Catholics as our focus? In this book, I argue that African Americans converted to Catholicism in record numbers during the Great Migrations largely because Catholic religious life served such a sharp contrast to the evangelical Black churches increasingly popular in the same period. These Black Catholic communities boomed in the heart of cities like Chicago that would birth the Black Power era by the late 1960s. While commentators have lamented the lateness of the Catholic arrival on the civil rights scene and the absence of Catholic “Martin Luther Kings,” I argue that there was no shortage of black Catholic Stokely Carmichaels and Angela Davises. The concurrence of Vatican II and Black Power sparked intense debates among Black Catholics over proper religious practice, Black cultural heritage, and the relationship between religion, race, and politics. These debates set in motion nothing short of a revolution in Black Catholicism. My book is now available through nyupress.com as well as Amazon.com. I am also co-organizing a collaborative interdisciplinary project that examines the ways colonialism and racism helped constitute the category of “Catholicism” in the Americas, from the arrival of the Spanish and French in the sixteenth century up to the present. We are asking, of ourselves and our subfield, How must our scholarship change given the entanglement of colonialism, racism, and Catholicism in the history of the Americas?